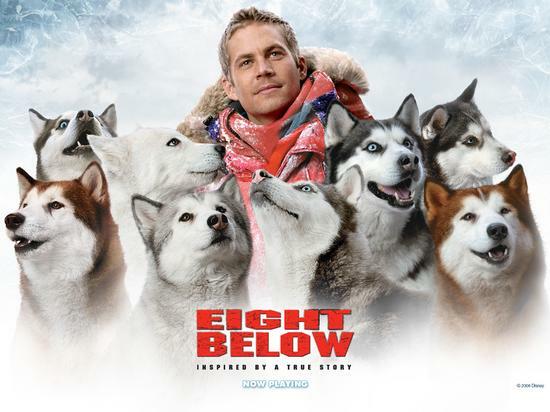 Walt Disney Pictures presents Eight Below, the tale based on a true story of incredible friendship between eight amazing sled dogs and their guide Jerry. Circumstances separate Jerry from his dogs during an extremely harsh winter in Antarctica, and Jerry’s beloved sled dogs must learn to survive together until he can rescue them. Driven by unwavering bonds of friendship, enormous belief in one another, and tremendous courage, Jerry and the dogs make an incredible journey to reunite in this triumphant and inspiring action-adventure the whole family will treasure. If you love dog movies, this is definitely one you don’t want to miss.